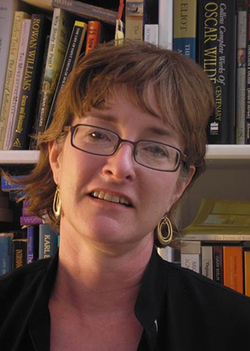 The Stephen F. Austin State University Department of History will host Dr. Beth Barton Schweiger, a historian and 1983 SFA alumna, at 7 p.m. Feb. 25 in Dugas Liberal Arts North, Room 142, on the SFA campus. Schweiger will discuss her time at SFA and her forthcoming book, "A Literate South: Reading Before Emancipation." NACOGDOCHES, Texas - The Stephen F. Austin State University Department of History will host Dr. Beth Barton Schweiger, a historian and 1983 SFA alumna, at 7 p.m. Feb. 25 in Dugas Liberal Arts North, Room 142, on the SFA campus. Schweiger's talk, "A Literate South: Why Southern Readers Matter," will detail how her experience at SFA shaped her career and forthcoming book, "A Literate South: Reading Before Emancipation." According to Dr. Hunter Hampton, lecturer in SFA's history department, attendees will hear about the importance of literature and literacy in the American South during the years leading up to the Civil War. "A historical examination of Southern readers provides insight into the lives and minds of common people in run up to the Civil War," Hampton said. "By focusing on the literature and literacy of Southern readers, we understand Southern culture, vernacular and identity were shaped not only by oral tradition, but also by what they read." Schweiger received her Bachelor of Arts in literature and history at SFA. She has traveled the world conducting research and taught at various universities. Among her numerous publications, she has written two other books: "Religion in the American South" and "The Gospel Working Up." The event is free and open to the public. For more information, contact Hampton at hamptonh@sfasu.edu or (936) 468-2048.